If you're interested in coming out for strongman group training, Team Barbarian should be back at it next Saturday Oct.18 at 3PM, and most Saturdays coming up look OK. This contest season is all but done... now we gotta build our base for next year! Message me to let me know if you're coming. 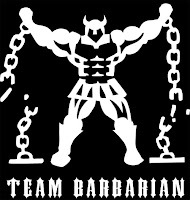 If you're new, live in the GTA, and you're reading this, for more info goto http://teambarbarian.com/news.html for more info on Team Membership.